Back home, Dia who was formerly a beauty pageant winner, is distressed by Tripura Chief Minister Biplab Kumar Deb's comments on beauty queens. 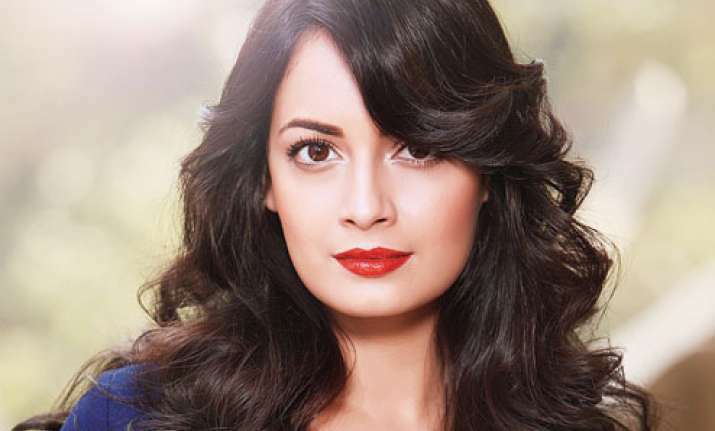 Actress-activist Dia Mirza, the UN Environment Goodwill Ambassador for India, flew to San Francisco earlier this week to participate in an all-women's panel discussion on the environment at the Steve Jobs Theatre. Dia brainstormed on stage with three distinguished women -- Vien Troung (CEO of Green For All organisation), Alexandra Cousteau (globally recognised for her work on water-related issues) and Lisa Jackson (Apple's Vice President of Environment, Policy and Social Initiative). Dia said: "Thankfully, my world is expanding and I am getting to do, meet and be a part of incredible change. On Friday (April 27), I was in San Francisco participating in an all-women panel environmental discussion at the Steve Jobs Theatre. It was an immensely rewarding experience." "What can one say of a man who claims Internet existed in ancient India? He seems to have a resource of information that the rest of us are not privy to," Dia sighed. Deb had reportedly said in Agartala that international beauty contests were a farce as the results were all predetermined. He also said he failed to understand the "process of judgement" of the crowning of the Miss World contest in 1997, in which Diana Hayden was crowned.